Memorial Day, which honors the men and women who died while serving in the U.S. Military, is America’s most solemn holiday. Many Americans observe the day by visiting cemeteries or memorials, gathering with family and attending or participating in parades. It became an official federal holiday in 1971. Two TDS employees shared with us who they will remember on Memorial Day. Here are their stories. TDS’ Mark Andersen served in the U.S. Army as a 12B Combat Engineer. He joined the Army in 1984 and was stationed in Missouri, Germany and Kentucky. On this Memorial Day, Mark said he remembers three people who were lost in the 58th Engineer Company accident in West Germany in 1987. Staff Sgt. Joseph L. Dewease, 27, of Khewsville, Md. Sgt. Joseph M. Renaldi, 25, of Springdale, Pa.
Spec. 4 Keith Lavoie, 21, of Burton, Mich.
TDS’ Jeff Mand served in Operation Iraqi Freedom as a member of the U.S. Army. He also served as a Captain – Company Commander in the Army National Guard. Three individuals Jeff remembers on this Memorial Day are: Todd Olson, Charles Kaufman, and Robert (Wes) Tucker. Finally, Mark Andersen said he also remembers the 248 members of the 101st Airbourne Division and eight crew members who died in a plane crash in Gander, Newfoundland on Dec. 19, 1985. After six months of peacekeeping duty, that group was returning to Ft. Campbell, Ky. They never got home—their plane went down on take-off a half-mile from the runway. Two years after the Gander crash, Mark arrived at Ft. Campbell, Ky., and was assigned to the 101st Airborne Division, 326th Engineer Battalion, Bravo Company. His platoon was assigned to the 3/502 Infantry, the same battalion that lost so many. 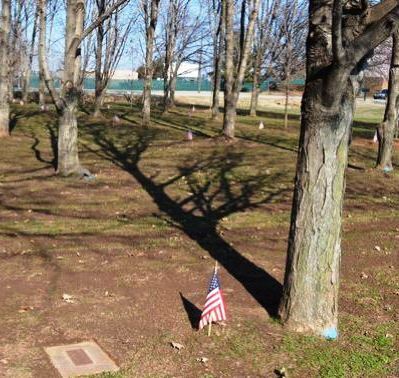 There was a memorial at Fort Campbell that included one sapling planted for each of those lost that day. The trees were still young. The wounds were still deep, and they were fresh.